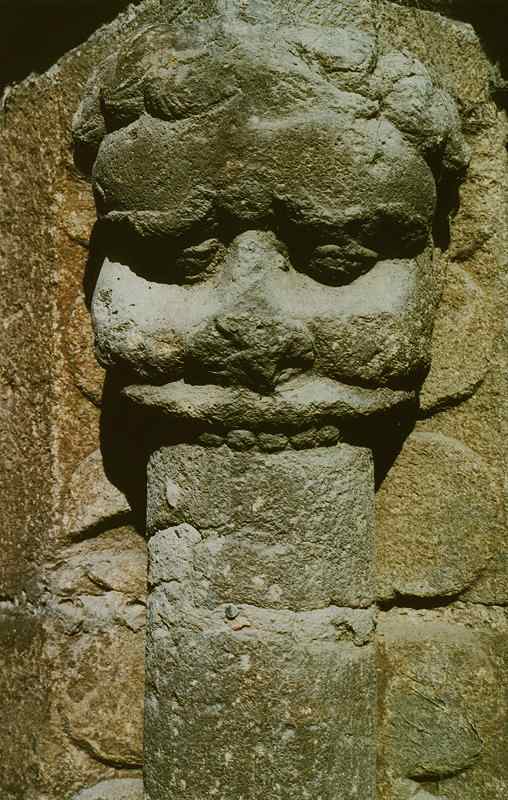 This fine capital is at eye-level on the doorway of a church on the Pilgrim Road to Santiago, where three branches meet for the final stretch to Compostela. Note the wreath of cockle-shells, symbol of St James (Santiago), above his brow. Note also that - as with a kirttimukha - the lower jaw is missing.